We think that the near future -- until middle of next year -- will be volatile, for several reasons. On the supply side, there may be some new spodumene suppliers coming on in the next several months. On demand side, some of the new car projects could be delayed. However, Tesla is another important factor in near-term demand. It looks like the Model 3 is now ramping up steadily and we think their purchasing should be very strong -- not like the start of this year. The risk is that the market is overestimating the potential on the supply side. Of course there is room for newcomers, but they will likely have lots of problems with production. They (investors) are scared because they realize this industry still has lots of barriers, even in the upstream. You need the technology, you need of course the market -- it’s very challenging for some new entrants to become qualified battery-materials suppliers. Not in the near term, but in the longer term there is still risk of a shortage. Especially 2023 and 2024 -- that’s the period we’re a little bit concerned about. That will be the time when EV production will be ramping up quickly and that’s when most of the battery makers will be expanding their capacity. The OEMs want to secure long-term supply. They probably share the same view that come 2023-2024 there will be tight supply when everyone is ramping up the EV production. But in the short term we have to fasten our seat belts and be careful. The company are targeting next generation solid-state battery technologies, with production of the first generation expected from the second quarter next year. We are already starting some testing work with several Chinese and European manufacturers. We think we can support a few thousand EV cars and then we will make a decision on how we want to scale up this technology. From this technology to the next level, there’s still another eight or 10-year window for that. Our first generation is a drop-in technology in which we replace the liquid electrolyte. An EV fast charger that is smaller than existing systems and wastes 60% less power during charging has been developed in the US. Zinke's order extends a temporary ban imposed in 2016 under former President Barack Obama on new claims on 47 square miles of public lands in the Paradise Valley and Gardiner Basin. Developed by researchers at North Carolina State University, the new solution is at least 10 times smaller than similar systems and is now being optimised to charge vehicles more quickly, while also charging multiple vehicles simultaneously. The new technology has been dubbed a medium voltage fast charger (MVFC). Gold holds its advance amid risk-off sentiment in global markets after a rout in US equities extends to Asia. On the back of the worst U.S. stock sell-off since February, President Donald Trump slammed the Federal Reserve as “crazy” for rate rises this year. That’s the latest public jab from Trump, who declared in September he’s “not happy” when the central bank raised rates for the third time this year. Bullion for immediate delivery climbed +0.7% as the S&P500 Index dropped -3.3% on Wednesday to the lowest level in three months as fresh concerns about the impact of the trade war with China roiled technology and industrial shares. A closely watched gauge of U.S. consumer prices probably remained elevated in September, according to forecasts ahead of Thursday’s release. The US Energy Information Administration on Wednesday boosted its Brent and WTI crude oil price forecasts on uncertainty over the impact of the looming re-imposition of US sanctions on Iranian crude exports. In its Short-Term Energy Outlook, which was delayed a day because Monday was a holiday in the US, EIA forecast Brent to average $74.43/b in 2018, up $1.59 from last month's forecast, and WTI at $69.56/b in 2018, up $2.53 from last month. The agency forecasts Brent to average $75.06/b and WTI to average $69.56/b in 2019, up $1.38 and $2.20, respectively, from last month's forecast. Libya's crude oil output has dipped again due to the deteriorating security situation around its largest oil field, Sharara, sources said Tuesday. Sources with knowledge of Libya's production said an increase in local militia activity in the past week led to some oil workers evacuating fields. Crude output in Libya had recently touched five-year highs at a critical time for global markets ahead of the imposition of US sanctions on Iran. For the week ending on September 28, natural gas inventories stood at 2,866 bcf, or 636 bcf lower than at the same point a year earlier, as well as 607 bcf below the five-year average. The market has clearly grown a little concerned about adequate supplies heading into the winter and that is reflected in natural gas prices rising to their highest point since the beginning of the year. Record power burn over the last few weeks from unseasonably high temperatures put more strain on inventories. According to S&P Global Platts, U.S. gas demand has averaged 72.5 bcf/d since September 1, up 9 percent over the same period last year. Major global battery raw materials suppliers have been struck as weaker industry sentiment was compounded by renewed turmoil in global markets. Jiangxi Ganfeng Lithium Co. sank as much as 28% after opening at KH$16.50, the lowest end of its offer range. The firm’s Shenzhen-listed shares tumbled to their daily limit for a second day, as Chinese commodities and battery stocks in China joined a fresh retreat for equities worldwide. The MSCI Asia Pacific Index headed for its biggest drop since June 2016. The global lithium market has been marred by falling lithium prices and widespread speculation about oversupply as producers scale up output ahead of surging battery demand. Steep losses in Hong Kong do not give strong signals for Livent Inc., a lithium spin-off from chemicals producer FMC Corp., due to go public later today in New York. o Tianqi Lithium Corp., which is also planning a Hong Kong listing, fell 10% to head for its lowest close since early 2017.
o Zhejiang Huayou Cobalt Co., the world’s top cobalt refiner, fell 9.8%. o Battery materials supplier Ningbo Shanshan Co. slumped to its lowest since last June. Prices for lithium have declined this year amid concerns over the arrival of new supply and signs of weaker demand in China, with lithium carbonate prices falling as much as 55% in 2018 according to Asian Metals Inc. Under the terms of the LOI, Altus will receive 30m shares in Canyon Resources as well as $1.5/t royalty on the Birsok bauxite project in return for a termination of the current JV agreement and a 100% interest in Birsok and Mandoum licenses. o 5m shares to be issued upon the execution of a mining convention of the neighbouring Minim Martap project owned by Canyon Resources and subject to a 12 month voluntary escrow. When combined with 8m shares currently held in Canyon Resources, the total holding upon the release of all shares would have a notional market value of around A$7.2m or £3.9m. Conclusion: Canyon Resources is consolidating ground in vicinity to the major Minim Martap bauxite deposit estimated to host 0.6bn tons at 45.5% Al2O3 and 2.1% SiO2 paying for the Birsok project in shares. Excluding potential $1.5/t royalties on Birsok, the acquisition price of c.$4.0m (30m shares at A$0.19 and AUDUSD 0.71) is slightly above the $3.7m we assumed for fully diluted 25% Altus’ interest in the JV. We see this as a positive development allowing to monetise Altus early stage bauxite properties in Cameroon while maintaining exposure to the commodity and project through a shareholding in Canyon. Canyon Resources shares also provide a source of funds for future exploration works on other portfolio assets should the Company decide to reduce its holding in Canyon. Production totalled 24.4koz GE marking a 28%qoq and 38%yoy increase and a 28% gain YTD. Stronger gold production has been driven by higher grades of processed material and better recoveries at the agitation leaching plant as well as stronger throughput at the flotation plant which has benefited from a standalone crusher. o Flotation plant – 2.4koz (Q3/17: 2.2koz). Copper production totalled 0.5kt (Q3/17: 0.6t) most of which has been supplied by the flotation circuit. Silver production came in at 59.3koz (Q3/17: 40.3koz). Gold dore sales (ex PSA) totalled 18.6koz at $1,216/oz (Q3/17: 9.3koz at $1,286/oz). Concentrate sales (ex PSA) generated $3.4m (Q3/17: $5.5m). Net cash stood at $2.8m comprised of $14.4m of cash in the bank and $11.6m in outstanding debt (Q2/18: $2.9m net debt). The Company will be paying maiden 3USc per share dividend on 8 November and is reported to have also made a $3m corporate tax payment during the quarter. In recognition of strong production growth YTD, the management is expecting FY production to come in at the higher end of the78-84koz GE annual guidance. Conclusion: The quarter delivered strong production growth with the Company targeting higher end of the 78-84koz GE guidance for 2018. Production numbers came in slightly ahead of our 22.2koz GE forecast on the back of stronger agitation leaching plant performance where gold recoveries improved to 92%, the highest level on record. We will update and release our earnings estimates shortly. Vanadium prices continue to rise driven by China’s drive to reduce pollution and new standards increasing the proportion of vanadium used in steel for construction, mainly rebar. Metal Bulletin’s trade log gives a useful view of the trade in ferro-vanadium and vanadium pentoxide with trades showing up to 28 September. The high price of vanadium is reporting to be causing some substitution of ferrovanadium with ferroniobium though this does not appear to be affecting the rise in prices at this stage. Asian Metals in Beijing report a shortage of vanadium pentoxide is driving prices and this will not change in the short term. We also expect some incremental increases in production from primary vanadium producers though primary vanadium only makes up 17% of the global supply. Some new byproduct production from graphite production may also come to the market in future years though difficulties in vanadium extraction from this source may delay its introduction. We are raising our price assumptions for vanadium to US$82.17/kgV from US$77.8/kgV for 2018 and to US$45/kgV from US$35/kgV for 2019. We are looking at the potential impact of ferro-vanadium substitution with ferro-niobium in the steel industry though we suspect this is may only apply at relatively high price levels. The South African rand remains relatively weak partly due to the impact of South African government statements on the reclamation of farms without compensation and government inaction relating to violence on South African farms. The spot rand price is at 14.587 against the US dollar. We assume the spot rand rate for 2019 onwards in our modelling vs a rate of 14.2 previously. *SP Angel act as Nomad and broker to Bushveld Minerals. The analyst has visited the Vametco process plant and associated mining operations. In Togo; Keras plans to produce a particularly clean manganese ore with a fully funded, 10,000t bulk sample due to start soon. Much of the equipment is already in place ready for mining with trucks due to take material from Nayega to a deep-water port to the south. Keras is targeting manganese production of 250,000tpa of 38% lump and fines. Keras also holds 100% of the Kamina Cobalt & Nickel project in Togo. In Australia; Keras holds 35% of Calidus, a gold exploration company with a JORC resource at Warrawoona of 712,000oz JORC gold grading 2.11 g/t. Calidus’ market capitalisation is around A$38m valuing Keras’ stake at some A$13.3m (£9.4m) or substantially more in the case of a takeover or mine development event. Keras are currently producing a 10,000t bulk sample of manganese ore starting with a small scale mining operation to de-risk before scaling up to a potential 250,000tpa. Keras has invested in plant and equipment that would enable them is to start mining 4mt of surface Detrital and Laterite Reserves on a small-scale basis separating manganese nodules and fragments to simply enable the processing of a cleaner Manganese oxide. The acquired plant has the capacity to produce approximately 6,000tpm of 35% manganese ore to be fed by a small-scale contract mining operation. The $1.76m mining and instillation cost of plant and equipment is being paid for by a major producer of manganese-based alloys to assess the quality of ore for smelting. Testwork indicates the ore is amenable to pre-concentration by simple screening and scrubbing. Mining and processing of the near surface ores should give sufficient material to de-risk the project and to enable the financing of a larger operation on receipt of full mining permits. DMS testwork indicates recoveries of >90% of the Mn from rejecting 50-60% of the mass feed. Appropriate Process Technologies (APT) based in Joburg will start commissioning of the 20t per hour scrubber plant at the beginning of November. Togo-based, Carriere Mines Travaux Public (CMTP) are providing the mining & screening equipment for the bulk sampling operation and logistics between Nayega and Port Lomé. Full scale mining should use the same infrastructure as the bulk sample process enabling a seamless transition into larger scale mining when permits are received. New generation NMC batteries need sustained production of high-purity Mn sulphate sourced from high-grade Mn ore or Electrolytic Mn Metal. The push to secure battery material is impacting Mn chemical markets driving a rally in prices from the end of 2017. The full-scale production target of 250,000tpa is based on metallurgical testwork and this will be tightened up during the bulk sample process and therefore is likely to change. Valuation: we value the manganese business on its current small-scale mining plan at £11.7m or 0.52p/s. Keras’ stake in Calidus is worth A$16.5m or 0.52p/s. The two businesses together indicate a value of 1.04p/s not including any value for the Kamina cobalt and nickel in Togo. 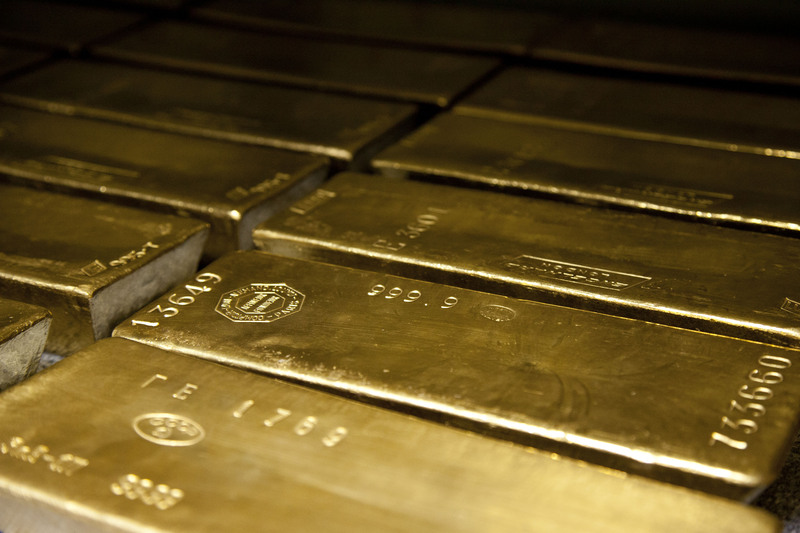 The East Africa-focused gold producer, developer and explorer provides an exploration update at the New Luika Gold Mine in South Western Tanzania and the company’s licences in the surrounding Lupa Goldfields. The exploration strategy focuses on its three high-grade underground mines and exploration targets within 20km of the plant. In June 2018, the company began a small exploration programme at Bauhinia Creek East, with five exploration holes close to the existing underground decline. At a cost of US$8/oz, the Company has added an additional 21,081oz of gold at 3.43g/t to Indicated resources which have be added to the mine plan, replacing mined reserves during the quarter. In September 2018, Shanta commenced underground exploration drilling at BC West, targeting an area to the immediate west of the planned development limit, for the purpose of converting Inferred resources to Indicated resources. Mineralisation has been intersected within the four exploration holes, with assay results expected in November 2018. Phase 2 is currently ongoing, and involves completion of two drill holes totaling 160m. Exploration drilling at BC Central is scheduled for H1 2019 for the purpose of converting further Inferred resources to Indicated resources. BC Central includes an historic drill hole CSD055 intersecting 8m averaging 8.52g/t Au which is not included in the current mine plan. Trenching results at the new high-grade Lambo target, 6.6 km north west of the NLGM plant, includes two separate trenches of 2.1m @ 47.12g/t Au and 3.15m @ 32.73g/t Au. Reconnaissance geological mapping and rock chip grab sampling was undertaken in July 2018 to evaluate the company’s regional licence potential across the Lupa Goldfields. The return of high-grade rock chip samples at Quartzberg including 27.22g/t Au, 19.28g/t Au, 17.82g/t Au, 16.98g/t Au, 15.28g/t Au and 14.68g/t Au gives encouraging results. Conclusion: The regional exploration programme gives encouraging results for the downdip extensions across all three underground ore bodies (Bauhinia Creek, Ilunga and Luika), and including Lambo and Quartzberg in close proximity to the existing plant. Vast Resources announce the approval of the grant to the 80% subsidiary African Consolidated Resources srl (AFCR) of an Association Licence by Romania’s National Agency for Mineral Resources. Together with Baita SA, the formal approval has now been granted which will give AFCR the right to mine at Baita Plai. Embedded in the ANRM approval is the pre-agreed commercial contract with Baita SA the holder of the head licence. Wolf Minerals announced that if it is unable to conclude a satisfactory agreement with its financial stakeholders and has subsequently put the Hemerdon mine into administration. The company has been working to establish a long term funding arrangement with its stakeholders, including Resource Capital, for some time while it seeks to resolve technical issues at its Drakelands tungsten mine in Devon. Standstill agreements which have been in place are due to expire on 28th October. This note has been issued by SP Angel Corporate Finance LLP (“SP Angel”) in order to promote its investment services and is a marketing communication for the purposes of the European Markets in Financial Instruments Directive (MiFID) and FCA’s Rules. It has not been prepared in accordance with the legal requirements designed to promote the independence or objectivity of investment research and is not subject to any prohibition on dealing ahead of its dissemination. SP Angel considers this note to be an acceptable minor non-monetary benefit as defined by the FCA which may be received without charge. In summary, this is because the content is either considered to be commissioned by SP Angel’s clients as part our advisory services to them or is short term market commentary. While prepared in good faith and based upon sources believed to be reliable SP Angel does not make any guarantee, representation or warranty, (either express or implied), as to the factual accuracy, completeness, or sufficiency of information contained herein. The value of investments referenced herein may go up or down and past performance is not necessarily a guide to future performance. Where investment is made in currencies other than the base currency of the investment, movements in exchange rates will have an effect on the value, either favourable or unfavourable. Securities issued in emerging markets are typically subject to greater volatility and risk of loss. The investments discussed in this note may not be suitable for all investors and the note does not take into account the investment objectives and policies, financial position or portfolio composition of any recipient. Investors must make their own investment decisions based upon their own financial objectives, resources and appetite for risk. This note is confidential and is being supplied to you solely for your information. It may not be reproduced, redistributed or passed on, directly or indirectly, to any other person or published in whole or in part, for any purpose. If this note has been sent to you by a party other than SPA the original contents may have been altered or comments may have been added. SP Angel is not responsible for any such amendments. Neither the information nor the opinions expressed herein constitute, or are to be construed as, an offer or invitation or other solicitation or recommendation to buy or sell investments. Opinions and estimates included in this note are subject to change without notice. This information is for the sole use of Eligible Counterparties and Professional Customers and is not intended for Retail Clients, as defined by the rules of the Financial Conduct Authority (“FCA”). Publication of this note does not imply future production of notes covering the same issuer(s) or subject matter. SPA has put in place a number of measures to avoid or manage conflicts of interest with regard to the preparation and distribution of research. These include (i) physical, virtual and procedural information barriers (ii) a prohibition on personal account dealing by analysts and (iii) measures to ensure that recipients and persons wishing to access the research receive/are able to access the research at the same time.